SKU: SC/lea186. 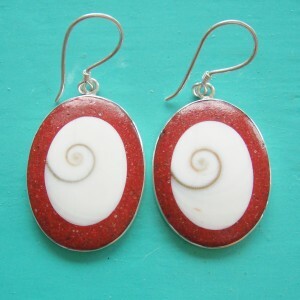 Categories: Earrings, Red Coral Sponge, Shiva Eye. These are great earrings. 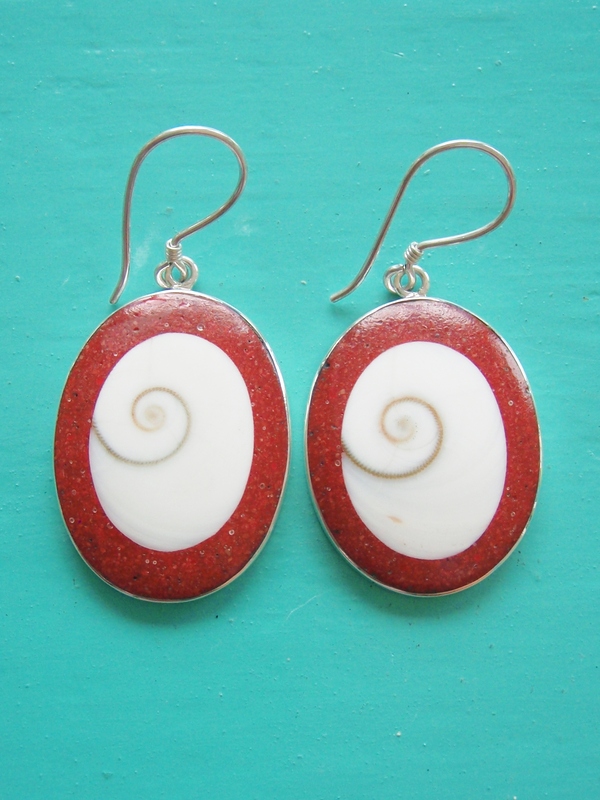 The red and white combination is a winner! 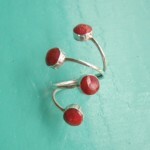 These are completely natural, made with Red Sponge Coral & Shiva Eye, all set in sterling silver. 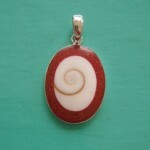 Take a look at the matching pendant or team up with a plain shiva eye pendant or red coral pendant. 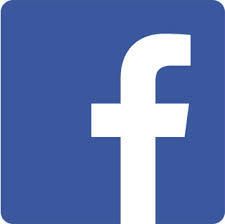 There are plenty to choose from to make that perfect gift.